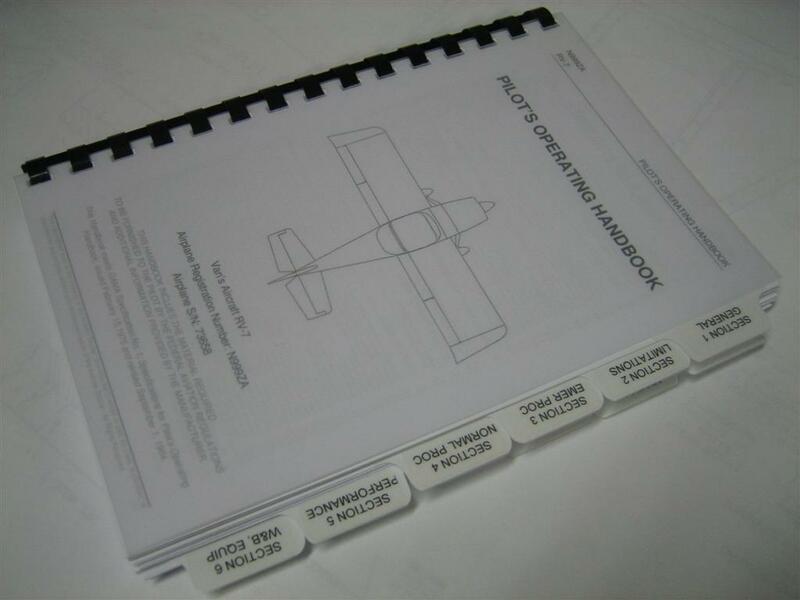 So I realize that I’m a little ahead of the game when it comes to checklists and POH, but I’ve been hot and heavy into them at work for my job, and I decided to try my hand at the RV-7 version. They are obviously preliminary, but I wanted them to look nice, because I’m considering selling them. Not for the content (which would come from the builder/pilots), but for all the fancy formatting that I’m really perfectionist about. Let me know what you think of these, and if you think anyone would buy a custom checklist/POH. 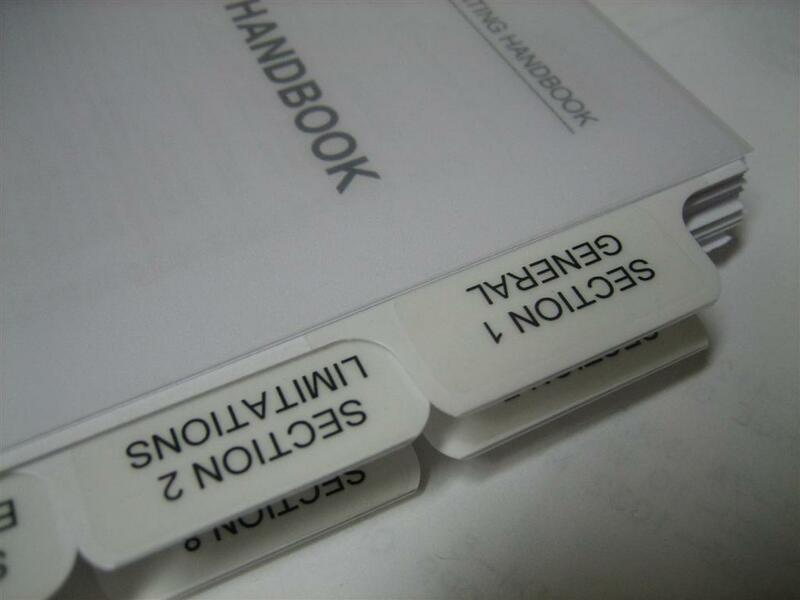 A closeup of the tabs. 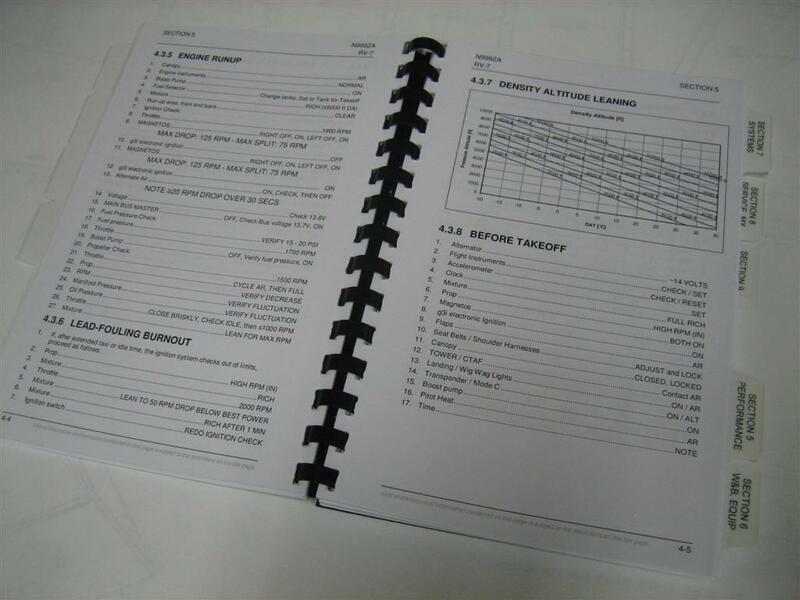 Sample of Section 8, Airplane Handling, Service, and Maintenance. 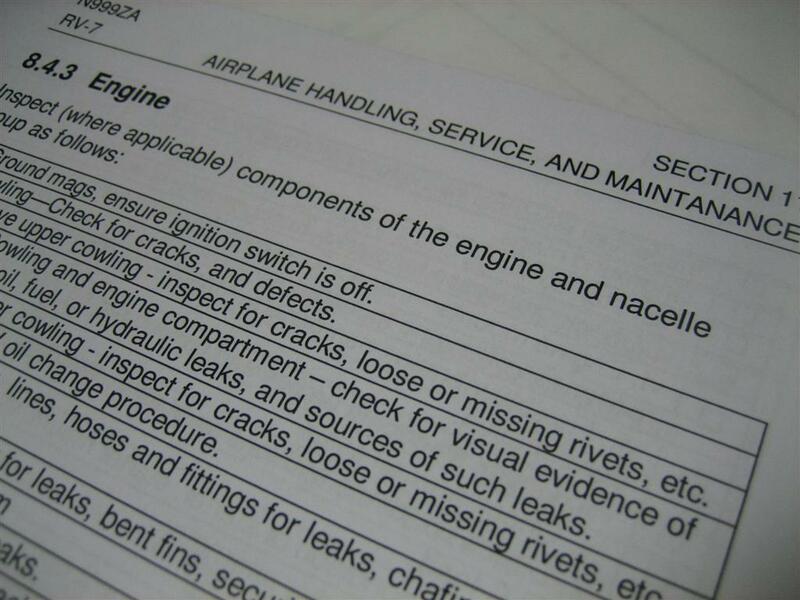 (I know I spelled Maintenance wrong, and yes, it says section 11. I told you it was preliminary. 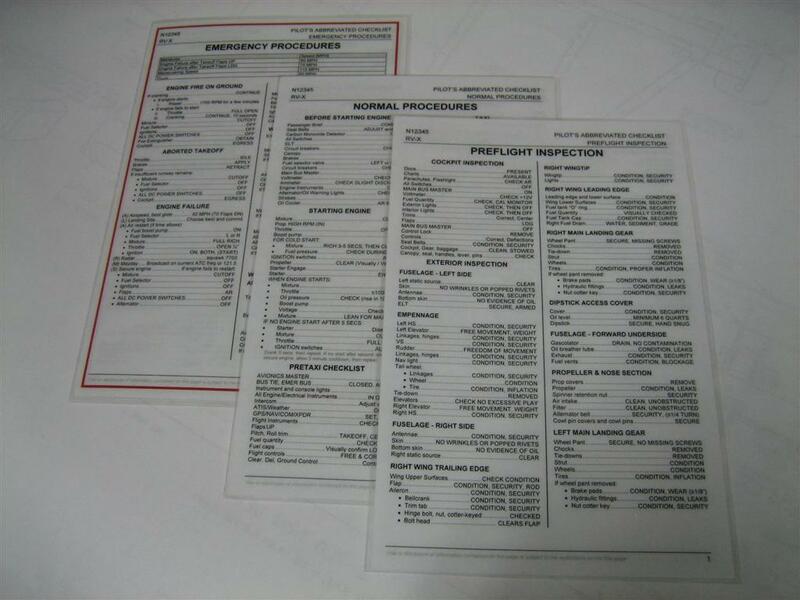 Keep in mind with the checklists that these are painfully detailed. These describe all tasks. I could certainly make a condensed version with just the highlights. 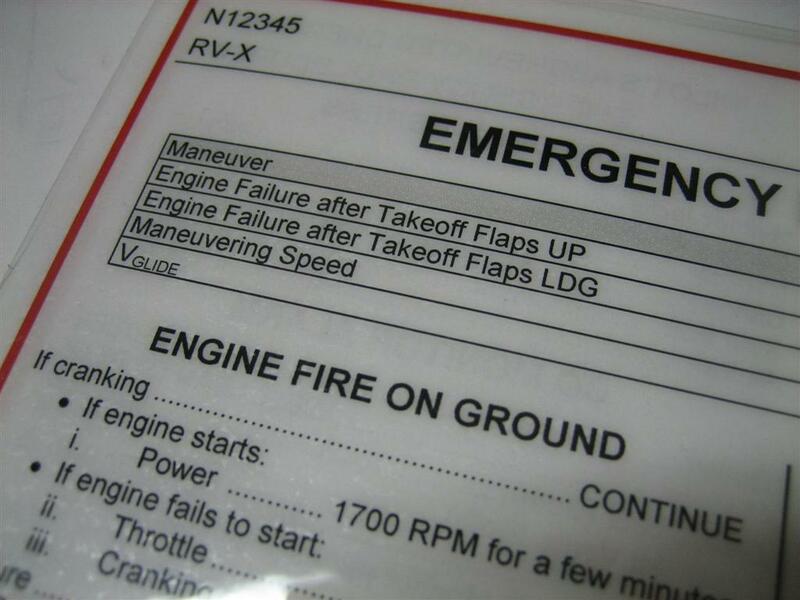 I teach ALARMS to all my students in case of an engine failure while airborne. 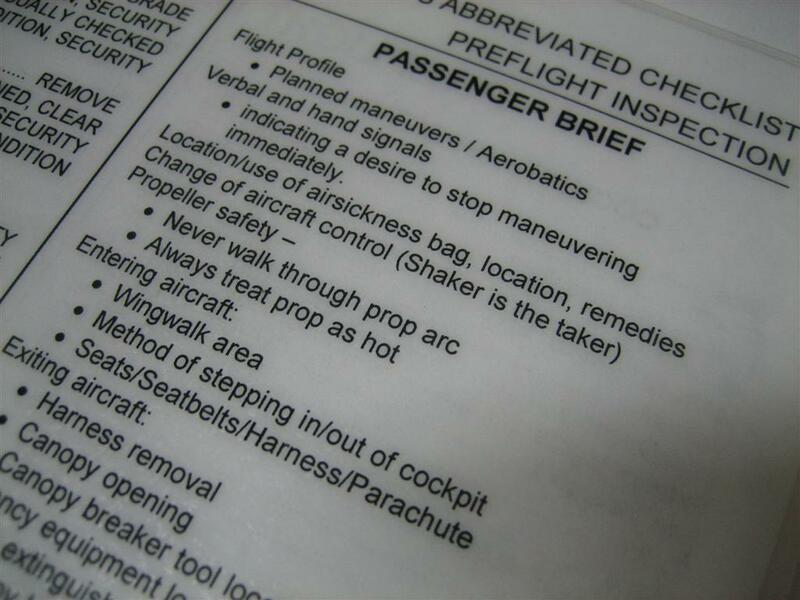 A closeup of the passenger brief. This entry was posted on Tuesday, November 8th, 2011 at 8:00 pm and is filed under Other. You can follow any responses to this entry through the RSS 2.0 feed. You can leave a response, or trackback from your own site. Hi, I like your check lists. How much do you want for a set? Hello Sir. Head over to http://alphazuluaerosports.com/products/custom-checklist/. It has all the information you need. 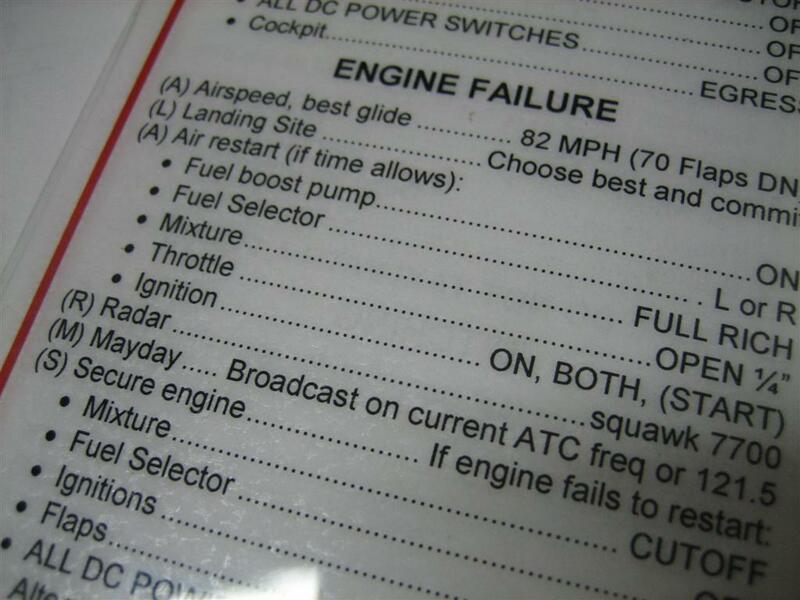 Are you selling the RV-7 POH’s yet?